Protein Bars….Healthy or Not? Protein Bars….Healthy or Not? Have you ever just started at the Protein bar aisle at the grocery store? It’s lined with shelf after shelf, trying to grab your attention. What I have found when looking is that “healthy”, does not always mean healthy at all and “great taste”, well, some of these things taste like cardboard. Today I’m going to talk about a few of my favorites. Let me just say, when it comes to protein bars, I’m picky! For years, my favorite was the Caramel Nut Blast by Balance Bar. It tastes literally like a candy bar. 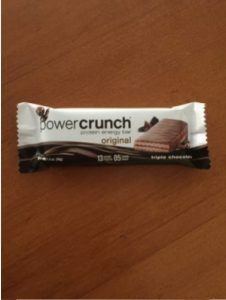 If I handed it to you without the wrapper, you’d never know it was supposed to be a “Nutrition Bar.” It has 15 grams of protein and 24 vitamin and minerals, although I have no idea what they are. This bar has 210 calories. One day I actually read the list of ingredients on this thing and was pretty surprised. It was a long list. Along with the last was a whopping 14 grams of sugar. Let’s just say, I don’t eat those much anymore. I guess it’s technically a better choice than a candy bar. Like I said, it does taste good. My next find is called Power Crunch Energy Bar. 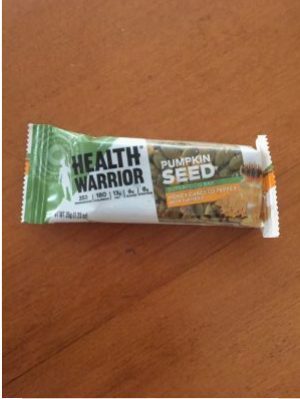 High-dh hydrolyzed whey protein in a creme filled wafer bar This bar also has a long list of ingredients. I’ve tried, French Vanilla, Mocha Creme and Triple Chocolate. There’s about 14 flavors in all. They taste pretty good. They sort of taste like those sugar wafer cookies. One of my favs, the Triple Chocolate, has 5 grams of sugar and 13 grams of protein and 205 calories. 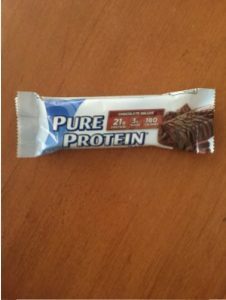 Recently, my husband picked up some Pure Protein Bars. He gave me the Chocolate Deluxe and the Peanut Butter to try. They are both pretty good for protein bars. These are Gluten Free, for those of you with gluten issues. These also have a long list of ingredients and there is also a warning that states, “This product contains sugar alcohols, which may cause gastrointestinal discomfort. Excessive consumption may have a laxative effect.” Wonderful, just what you want if you’re out on a hike in the middle of nowhere. However, I’m pretty sure you’d have to eat a few of these for that result. There’s about 13 different flavors. The Chocolate Deluxe has 21 grams of protein, 3 grams of sugar and 180 calories. Not bad if they don’t have a negative effect on you. I’ve had no problems at all and they are very tasty. I would definitely limit myself to one a day. About a month ago, on my grocery shopping trip, I spotted these Health Warrior Pumpkin Seed bars. There was a Dark Chocolate option and also a Honey Cracked Pepper with Turmeric. I picked up one of each. They were $1.99 a bar, so kind of pricey. I tried the one with Turmeric first. I take turmeric daily for inflammation, so it’s a plus for me that this bar has turmeric. If you don’t like Turmeric, this bar is not for you. It’s pretty strong. But I like it. So check this out, you know how those other bars had a long list of ingredients? Well, the ingredients on this bar are; Pumpkin Seeds, Organic Wildflower Honey, Milled Quinoa, Black Pepper, Turmeric, Coconut Oil and Sea Salt. 7 ingredients! 180 calories, 6 grams of sugar and 8 grams of protein. The Dark Chocolate is really good as well and it contains; Pumpkin Seeds, Organic Wildflower Honey, Cocoa Powder, Milled Quinoa, Cocoa Extract, Vanilla Extract, Coconut Oil, Sea Salt. I paid $4.99 for a box of 5, on sale at Target. So the original price of $1.99 each was a bit much. I would definitely buy them buy the box at Target. I’ve also tried Kind Bars in the past. They taste great. I tried the Dark chocolate, Nuts and Sea Salt. The bar is 200 calories. It has 5 grams of sugar and 6 grams of protein. The only problem I had was that it’s sticky so, in my case, I was afraid it would get stuck to my dental crown. But all in all a good tasting bar. There are TONS of protein bars out there. Some good, some not so good, and some are no better, even worse than a plain old candy bar. So I recommend that you do your research, read all the ingredients, buy a few different brands and do a taste test, before you commit to a huge box that you will throw away. Remember, just because it says healthy, doesn’t mean that it is.